I’ve gotten a lot of requests for affordable fashion from Amazon. 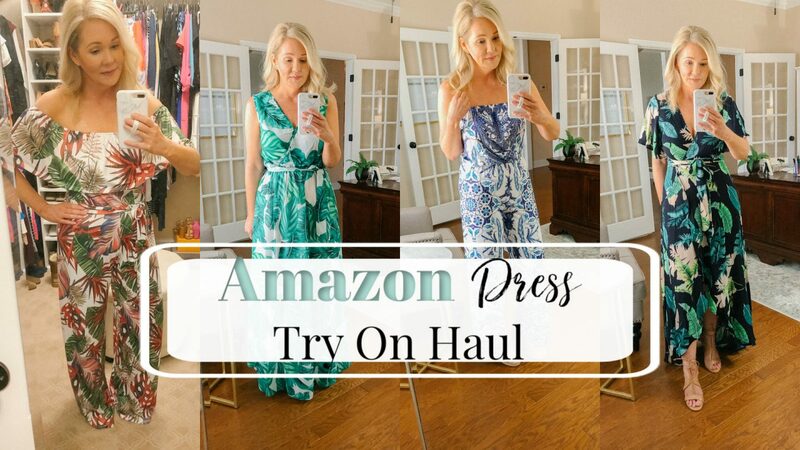 So I recently did an Amazon Spring Dress Try On Haul on my YouTube channel. (I’ll link that video below for you). I had a Spring Break trip in mind when I was browsing. Some of these outfits would be great for Spring Break at the Beach, A Cruise, or even a Spring/Summer wedding. This Strapless Jumpsuit was probably my favorite of the entire Try On. It was really comfortable and fits true to size. I’m wearing a Small. I’m 5’5″ and wearing pretty tall wedges but would probably wear a slightly shorter heel. This Off The Shoulder Palm Print Dress was super cute! And it’s UNDER $10.00! However, it was too short on me. It hit mid thigh and I’m just not comfortable with that. Plus, there will be issues when sitting. This is PERFECT for you Petite gals out there though. I’m wearing it without the tie belt it came with but you can wear it either way. 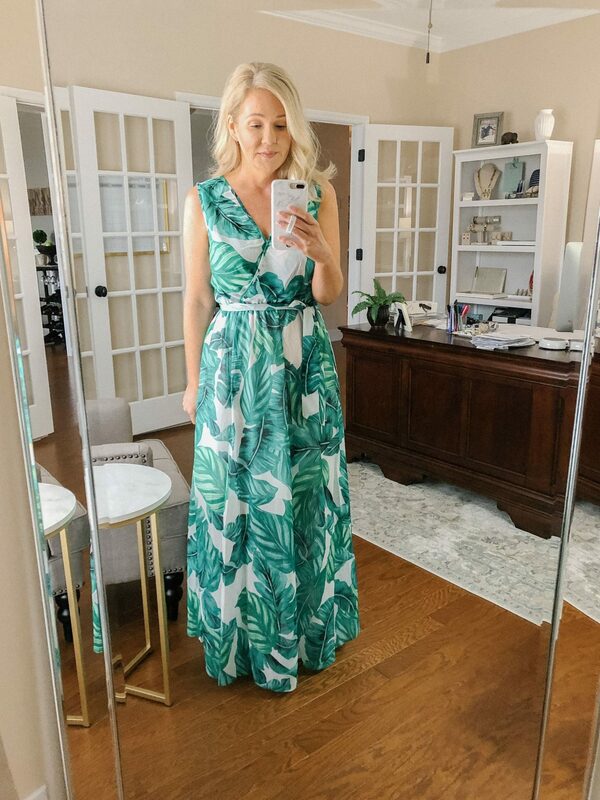 This Palm Print Wrap Dress was beautiful! Looks just as pretty in person as it did online. 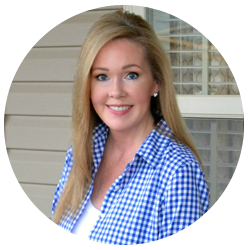 It has a great hi-low hemline, which I personally love. I’ll be wearing this one on our upcoming Caribbean Cruise. Fits true to size. I’m wearing a Medium based on the size guide. Don’t discount Amazon for finding cute Lilly Pulitzer clothing like this Romper. They often have discontinued styles and patterns there. Most of the time you’ll still pay full price, but it’s a great way to get Free Prime shipping. I’m wearing a Small in this and it’s a bit short waisted on me. I think the Medium would have been too big though. So sadly this one didn’t work but I think it’s super cute and would work out great if you are Petite. This Green Palm Print Maxi Dress was the star of the show! Sadly it was a bit big on me in the top. (I share more why in the video). I’m wearing a Small and that is the smallest size available. It also comes in a long sleeve version that is just as beautiful. Also other patterns if you’re not into the green palm print. This is a GORGEOUS chiffon dress and would be perfect for so many Spring/Summer events. 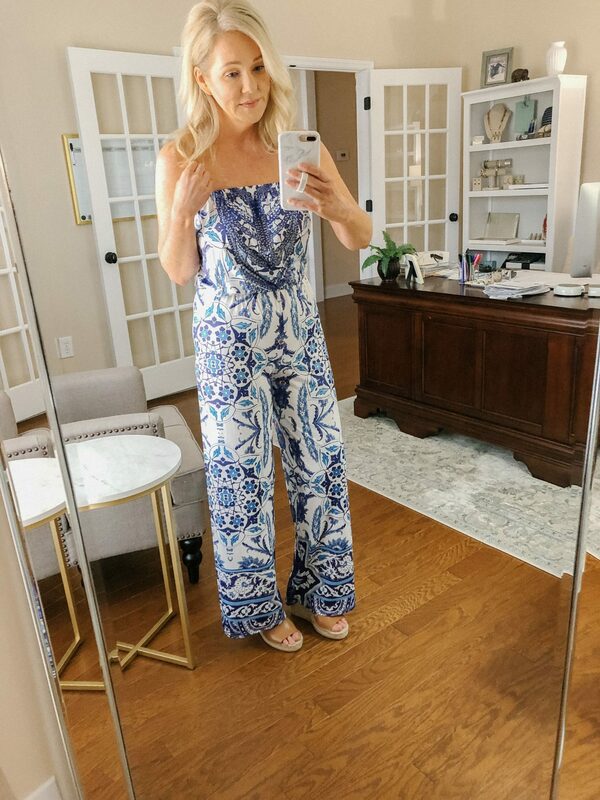 This jumpsuit isn’t something I would have given a second look when I saw it online. However, I saw this Pink and Green Palm Print on a Blogger and it looked amazing! However, I accidentally ordered in a Medium and needed a Small. So I’d say it runs true to size.